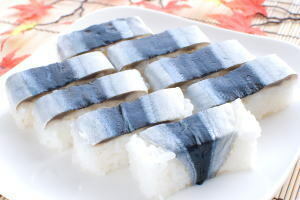 Sanma Oshi Zushi ('秋刀魚[サンマ, さんま]押し寿司', is classified into sushi), is known as Pacific Saury Pressed Sushi in English, and 秋刀鱼押寿司 (Qiū dāoyú yā shòusī) in Chinese. It is the washoku. 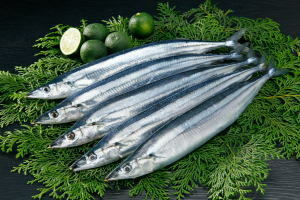 Sanma Oshi Zushi is a sushi that is pressed a marinated pacific saury on sushi rice in a special box. We can eat this dish at special sushi restaurants in Japan.